For this week’s poem (20 line minimum free-verse), you will select one of the proverbs that Hancock lists in the chapter 14 of We Are the Romani People. Proverbs fascinate me because they are culturally shared metaphors, figurative representation’s of a culture’s values, and sometimes (even often) they’re pretty good advice. After reading the whole chapter, which is full of interesting details about the Rromanes language, pick a proverb that resonates with you in some way. Maybe you like it or relate to it. Maybe you think it’s grim, beautiful, peculiar, funny, or true. Maybe you just like the sound of it, or the image it evokes. I notice that my favorites change depending on what’s going on around me. Right now I like, “There are no bones in the tongue.” The image is strong, and Hancock explains that this proverb gets its meaning partially from implication– there are no bones in the tongue (yet it speaks sharp words). I like the implication that speaking sharply is not in our nature– it’s something we’ve taught our tongues to do. That’s my reading of it today, anyway. So when you write your poem, include the proverb in some way, either as a subtitle, a title, or in the body of the poem. Be creative with how you write about it– you can take the metaphor and run with it, you could make a character speak the proverb, you can make your own interpretation or explore the traditional reading, you might write about how you (or the poem’s narrator) relates to it, rails against it, it bewildered by it… whatever you do, dig into some proverbs and enjoy it. To get you thinking, we have this week’s blog post, also due Friday April 5th. 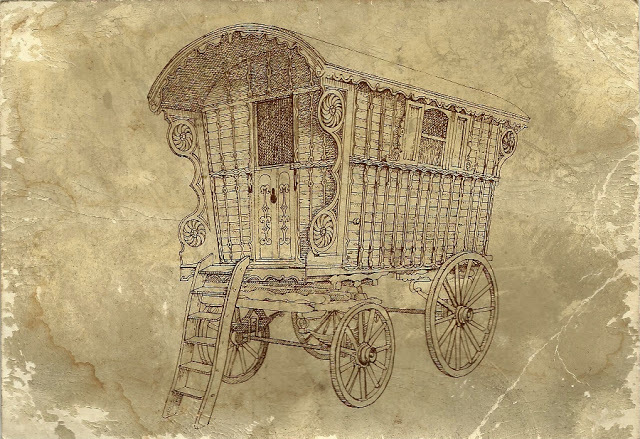 Take that proverb that you’re drawn to and write 300 words on what it means and what it means to you (those two things may differ or be the same), why you chose it, and what the proverb might reflect about Romani culture. I encourage you to research the latter and tell us about what you learned. Remember to leave at least one comment on a classmate’s blog by the following Sunday, and I encourage you to regularly check out all the interesting posts y’all have been writing. There are lots of impressive blogs out there! (I’m impressed).